. : JZVacations.com - Orlando Florida :. Relax, Enjoy, Delight - And Save! Experience the flexibility of creating your own vacation package that suits the preferences, size and budget of your family. We offer you 5 days, 4 nights in one of our amazing resorts, for up to 7 guests, all for only $299. This is the moment to enjoy a wonderful getaway with your whole family just minutes from the Disney parks. (stay up to 7 people) and includes welcome breakfast buffet to all family, shuttle service to "Disney World parks, Universal Studios, or SeaWorld" every day. A fabulous three nights for 4 people, 2 tickets to the parks, daily breakfast, transport to parks and much more! A world-renowned destination, Orlando is the place to make all of your dreams come true. 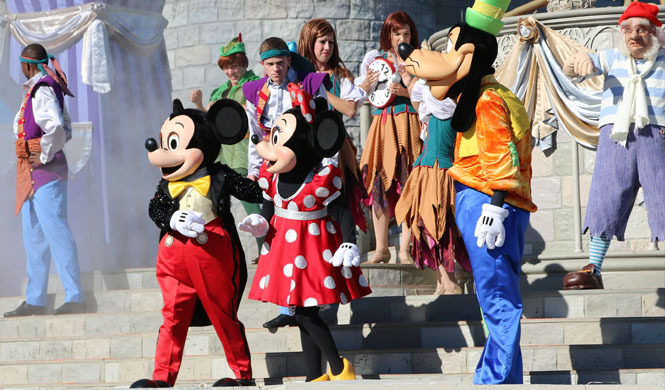 It is, of course, beloved for its theme parks: Walt Disney World, Universal Studios Florida, SeaWorld Orlando, and many more. 2 room apartment for 5 days up to 7 people. Two bedrooms, separate bathrooms, kitchen, living room with sofa bed, and more. Fun personalized VIP tour of our facilities. There has never been a better time to plan the vacation of a lifetime, as there are new attractions and more things to see and do than ever. We can also assist with the purchase of tickets to the parks of their choice. There has never been a better time to plan the vacation of your life, because there are more attractions and diversions than ever before. Treat yourself to a wonderful holiday and immerse yourself in a fantasy world, for only $349. You'll discover a dazzling array of entertainment, attractions and recreational activities. Imagine visiting many different countries in a single day, enjoying dishes and drinks from each while enjoying music, acrobatics and live entertainment.This is all possible in Epcot ®, or sharing the unmatched charmof Magic Kingdom® with your family, where we promise that your imagination fly with the most dazzling fireworks you’ve ever seen while capturing the charm of fairy tales with exciting entertainment, classic attractions, behind-the-scenes tours and beloved Disney characters. In Animal Kingdom, you will feel the force of this nature you step through fascinating jungle trails and experience the wonder of many exotic animals. If you are looking for the best Hollywood style action, Disney's Hollywood Studios is where you want to be, with the fun is centered on stardom and spectacle. 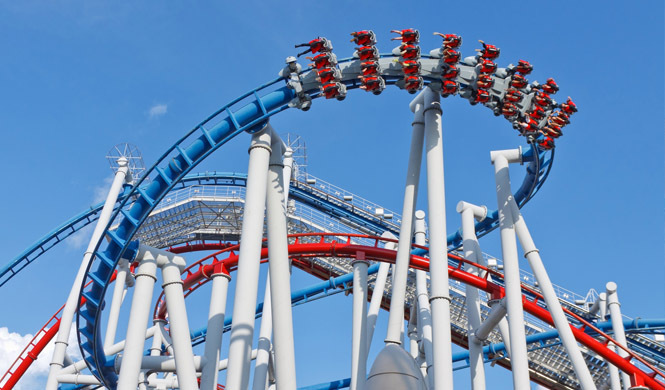 Besides the rush of adrenaline experienced in Universal Studios and Islands of Adventure from the spectacular rides and shows,many interactive attractions capture the stories and myths of popular properties, such as Harry Potter, Transformers, and The Simpsons, among others. SeaWorld Orlando takes you on a unique journey to discover the wonders that exist beneath the ocean. It is a place that connects you to the energy, emotions and mysteries of marine life. It is a world where the days are fascinating, the nights captivating, and adventures abound. Or if you want to simply relax at the edge of a pool while enjoying the facilities of our hotels, all this and more is possible with our super cheap packages reserved especially for you and your family. Why take advantage of our offers? Because with our packages, each member of the family will find just the right activity and enjoy limitless fun - all for only $349 USD. What do you do when you're not in one of the parks or after night falls? Day and night at Downtown Disney area, you can eat with dinosaurs, have the pleasure to shop at Disney or enjoy amazing performances and live music! Downtown Disney West Side offers top restaurants, AMC Cinema 24, and some very unique shops. You'll also find the spectacular live entertainment show Cirque du Soleil: La Nouba and DisneyQuestIndoorInteractive Theme Park. Downtown Disney Marketplace is a great place for a respite from the theme parks and Disney Water Parks-especially if you are looking for unique Disney merchandise. 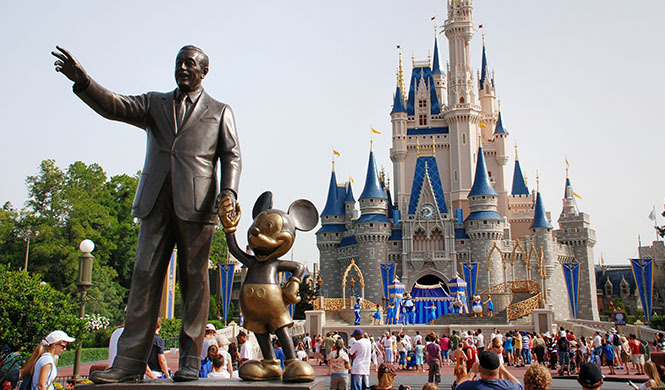 Visit the store of the world's largest Disney characters. Or if you need a break, relax and dine at a lakeside restaurant. Pleasure Island boasts a great variety of choices in shopping and dining venues, including CurlbySammyDuval, ApricotLane Boutique, Raglan Road Irish Pub & Bar, Fuego by Sosa Cigars, Paradiso 37 and other places to eat and drink outdoors. If looking for more options, you can discover memorable experiences in the endless nightlife of live music, restaurants, dancing, movies and more that is CityWalk®. This vast entertainment giant is 30 acres of fun at Universal, which serves as a gateway to the Universal Orlando® Resort and its two spectacular theme parks. We also recommend visiting Disney's Boardwalk area as it is a destination in itself. It can be visited by car orfrom the Disney Boardwalk Resort by bus. Designed with similarities to Coney Island Boardwalk, Disney Boardwalk has carnival games, shops, restaurants, a bakery and entertainment. Interactive shows held in the open, with magicians and other artists, are common. Disney's Boardwalk is also reachable from Epcot and Disney's Hollywood Studios. Best of all, the parking is FREE. Now is the perfect time to make your family’s dream come true, taking advantage of the special offers we have for you. Indulge in an atmosphere of fantasy worry-free entertainment, because our entire team of vacation experts will be on hand to help in any way possible. Let us lead the way to making your dreams come true. Orlando is a city in the central region of Florida, US. 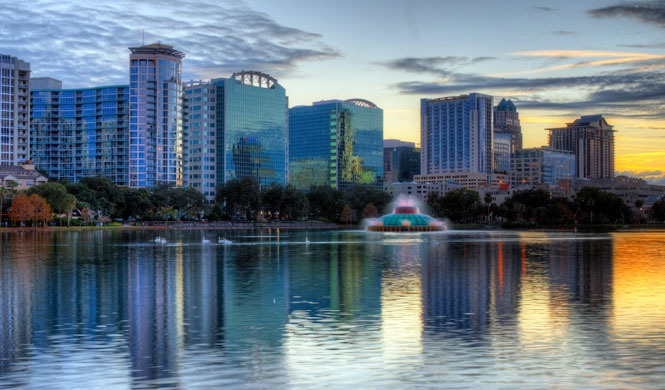 The Orlando metropolitan area has a population of 2,134,411 - making it the third largest metropolitan area in Florida. Theme Parks: Walt Disney World Resort (Magic Kingdom Park, Epcot, Disney-MGM Studios ™, Animal Kingdom), Universal Orlando Resort (Universal Studios Florida ®, Islands of Adventure), SeaWorld Orlando. Other attractions in the area: Gatorland, The Holy Land Experience, Orlando Science Center, Ripley's Believe It Or Not!, WonderWorks and many more! No travel destination is as magical as Orlando, welcoming people from around the world to enjoy its attractions, shopping centers and restaurants. Great style, quality and above all, precious memories - all will be found in Orlando! Oak Plantation Resort Give your family an unforgettable vacation during your stay at our resort in Orlando, FL. With cozyrooms, excellent facilities and a central location in a city that offers everything you could imagine, OakPlantation Resort Villas is a wonderful option for your Orlandovacation. Bring your friends and family to our resort for a carefree holiday full of attractions and unforgettable events. Here are some highlights of our Orlando Resort: Free shuttle service to major theme parks, Two climate controlled lagoon-style pools and whirlpool spa, Fitness center, lighted tennis and basketball courts, Poolside Tiki bar with a full bar, smoothies and food, General store and internet cafe providing free internet access. Westgate Resort WestgateVacation Villas offers the finest in luxury accommodations just minutes from the main entrance to Walt Disney World Resort and near Universal Orlando Resort and SeaWorld Orlando. With more than 2,800 luxury villas, ranging from one-bedroom to five-bedroom villas, WestgateVacation Villas offers the exact room your family needs. Dining options include SidBistro, market & Deli Joe, Drafts Sports Bar & Grill, Hershey Ice Cream Shop, in-pool bars, and CordovanoJoe Authentic New York Style Pizza for pick-up or delivery to any part of the property. Facilities include a full living room with a double sofa bed, fully equipped kitchen, dining area, marble bath tub, washer / dryer and private patios or balconies. Guests can enjoy 14 pools, a gym, basketball and lighted tennis courts, volleyball courts, and a games room. Hilton Grand Vacations Surrounded by some of the most famous attractions in the world, Hilton Grand Vacations Suites offers the perfect combination of comfort and convenience for the whole family. A short drive from Walt Disney World, Universal Orlando, and Wet 'n Wild Orlando, the hotel is the perfect choice for a dream vacation family. Offering all the comforts of home, the suite features a dining area and separate lounge and kitchen with washer and dryer. Watch a movie on the high definition TV, and surf the Internet via Wi-Fi. Upgrade to a spacious one bedroom suite to enjoy a full kitchen with microwave, refrigerator and oven. Orlando's Sunshine Resort A relaxing vacation spot for the family. It's good to have your very own vacation villa in Orlando with Bluegreen Vacations. That's exactly what you get at Orlando Sunshine Resort, a place to take a break from the hustle and bustle of Orlando attractions and relax in the privacy of your own home-away-from-home. Sure, it's fun to see what's new in the world-famous parks on the street, but there is something to be said for some peace and quiet, too. Stay and enjoy a host of activities on site or head for a less crowded destination, an attraction off the beaten path. 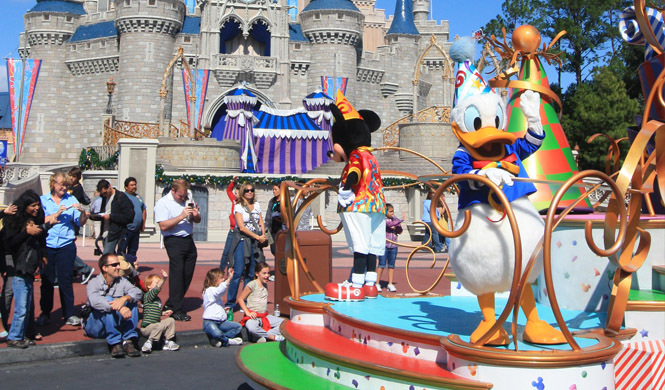 Orlando can offer the biggest and best family attractions, but offers much more. Wyndham Orlando International Resort Experience an idyllic tropical paradise in the heart of the most popular vacation destination in the United States, at the newly renovated multi-million dollar Wyndham Orlando Resort International Drive, located in the heart of the popular I-Drive Orlando. This Orlando resort boasts an enviable location in the center of the main tourist destination of Orlando, with interestingchanges currently ongoing, and boasts lush gardens and romantic lagoons, a cozy patio area that has been delightfully restored, and a myriad of services and amenities. With Universal Studios Orlando and SeaWorld Orlando just a short distance away, enjoy a free shuttle service to both charming destinations, as well as the Orange County Convention Center, just a mile away. The Wyndham is pet-friendly and will provide you an experience in which both families and business travelers can delight. Vacation Village at Parkway Orlando VacationVillage at Parkway offers the best of Florida in a great location. Minutes from many of the theme parks in Orlando, the resort offers spacious, charming rooms. Ideal for couples and families alike, the 1,968 rooms are surrounded by six pools, with jacuzzis, barbecue grills and a playground for children. While here, you can explore historic St. Augustine, Kennedy Space Center, Busch Gardens, and Silver Springs - all within driving distance. You may never want to leave the resort, however, after seeing our activity center, with its weekly planned activities that enhance the vacation experience for our guests! Summer Bay Resort Orlando Our two bedroom apartmentis the perfect solution for a large family. With capacity for up to 8 guests, this open floor plan allows you to lounge and be comfortable. Contemplate the beauty of Florida from your spacious balcony, overlooking the 64-acre lakeor the beautiful gardens. Wake up refreshed and ready for adventure in your luxurious bed. Relax in a luxury suite with its own balcony and full bathroom, hot tub and large vanity. The dining area and living room provide plenty of space to do just what you want to do. Forget about having to eat out every day. The spacious kitchen with refrigerator, microwave, stove and plenty of accessories makes dining in comfortable and easy. With a large, flatscreen TV in every room, guests can all watch something different at the same time. Plus, a convenient washer and dryer at your disposal make your stay so much easier. Enclave Suites When your family needs to rest and recharge for an exciting vacation, there is no better place than the spacious and well-appointed suites Orlando offers at The Enclave Hotel & Suites.It will be an amazing holiday experience! Featuring a large terrace from which to enjoy the evening Orlando skyline, each two bedroom suite has a living room with sofa bed, dining area and fully equipped kitchen. The master bedroom has a queen-sized bed and master bath. The second bedroom has two single beds and a second bathroom. The spacious outdoor terrace is what makes this suite unique. It also provides a fully equipped kitchen with capacity for up to six guests. Calypso Cay ResortCalypso Cay offers the flexibility of combining two one-bedroom units to create a two-bedroom villa, or you can choose a separate two-bedroom unit, depending on your needs. All units are fully equipped with plenty of storage space and of your personal entertainment needs. If you decide to bring your computer with you, we have Wi-Fi available resort-wide! Partake of a relaxing drink and the Florida sun while enjoying the convenience of mobile access. Our two-bedroom villas at Calypso Cay are spacious and great for your entire family. Resorts located at most 20 minutes from the Disney parks. Safe and comfortable rooms for children. Flatscreen TV in all rooms. Ease of access to shopping hotspots. And others in the same category (resorts will be assigned based on availability). 1- The price is $349 per person? * Not at all. For only $349 dollars, you and your family (maximum 6 people) can enjoy this wonderful holiday. 2- How do I redeem my voucher? * After purchase, you will receive a voucher via email that contains the description of your package and coupon code. With this voucher, you will be ready to make your reservation whenever you’d like, keeping in mind to allow at least 20 days before your selected arrival date. 3- After receiving my voucher, do I need to use my vacation right away? * No. You have 12 months to enjoy your vacation.However, from the moment you receive your voucher you can already make your reservation,even if it is for next year. 4- What other expenses are not included in the offer? *	As mentioned in the terms and conditions, the cost of airfare is not included, as well ashotel taxes of 13%, which vary by season from $9 to $15USD per night (sum due at time of registration or check-out). 5- Does the offer include airport transportation? * The offer only includes transfers between the hotel and the parks. We do not cover airport routes. 6- Are the meals included? * No, The resorts feature fully equipped for you to be free to prepare your food at home kitchens. 7- When requesting my reservation, will I be able to select one of the hotels? * As described in our terms, the hotels will be assigned according to availability, and cannot be selected. 8- Why are these offers so inexpensive? *	The reason is simple: we offer these discounts in exchange for your participation in a fun, personalized tour provided by the hotels participating in this offer, in order to show you their grounds and services. You give us 90 minutes of your time so we can show you how to get 100% out of your current and future vacations. 9- And I can receive so much only in exchange for 90 minutes of my time? * Certainly! All of this only in exchange for you getting to know our resorts and facilities, this fabulous discount would apply to all customers who participate. Best of all, the presentation only takes 90 minutes and that includes a delicious welcome breakfast for the entire family. 10- After soliciting my reservation, when will I receive confirmation of my assigned hotel? *	You will receive an automated email after requesting a reservation, which will indicate that your request is being processed, and then a confirmation email in about 3-5 working days showing your assigned hotel information, as long as you have paid the pending reservation cost of $98.99 as described in the offer. * Depending on the season, this might take a little longer. 11. What type of room will I be assigned? * Your room will be standard, with two double beds. You will receive one room for each coupon, allowing for up to 4 people maximum in a room. * If you desire a larger room or one with capacity for more guests, you may, at the time of your reservation, request one for an additional fee. 12. If I wish to add additional days to my stay, where do I request them? * You must order them directly with us. The costs can vary according to the season from $150 to $200 per night. 13. Can I use more than one coupon to extend my stay? * We do not allow consecutive use of coupons for extension of stay, not even by combining with similar offers acquired from other agencies. More than one coupon may be purchased, but must be used for the same family 12 months or more after usage of the previous coupon. To extend your stay or to update your package, you could pay an additional fee at the time of booking. 14- Can I buy a voucher for friends or family and travel on the same date and at the same hotel? * Buyers can purchase multiple coupons for friends and family, but could not use them simultaneously in the same hotel on the same dates. You could add guests to your stay for an additional cost, which would cover changes to larger rooms with more capacity, while only utilizing one coupon. Orlando has a fascinating artistic and cultural community. You’ll never run out of free passes to museums, art exhibitions and outings. The artistic and cultural venues in Orlando are usually free or offer discounts, and there are options for everyone. The Cornell Fine Arts Museum, located on the RollinsCollege campus, has an important collection that includes works by Henri Matisse, Pablo Picasso and Thomas Moran, among others. Free admission with any valid student identification. The Charles Hosmer Morse Museum of American Art houses one of the most stunning collections of world renowned artist Louis ComfortTiffany. Free admission: Friday from 4pm to 8pm, from November to April. The Zora Neale Hurston National Museum of Fine Arts offers a tour through history, from the humble beginnings of the author,while also showcasing the creative works of other artists of African descent. They accept donations. The Holocaust Memorial Resource and Education Center of Florida provides an overview of the history of the Holocaust and was created in memory of the victims. The center also has many educational events, films and seminars. They accept donations. The Winter Park Historical Museum houses a chronological photoshow depicting the history of Winter Park and presenting various thematic exhibitions. CityArts Factory is an eclectic collection of art galleries in downtown Orlando exhibiting works by local and international artists. Free admission: Thursday through Saturday, 11am to6pm. La Grand Bohemian Gallery in Orlando has two branches, in downtown Orlando and in Celebration. Both have a variety of artworks, including jewelry, stained glass and sculptures. If instead you prefer nature, the natural beauty and landscapes of Orlandomake it a special place to enjoy the sun and fresh air. Many parks and gardens in Orlando offer free admission, every day or on select days. Black Hammock Adventures, Lake Jessup, offers free exhibits featuring large lizards and birds. 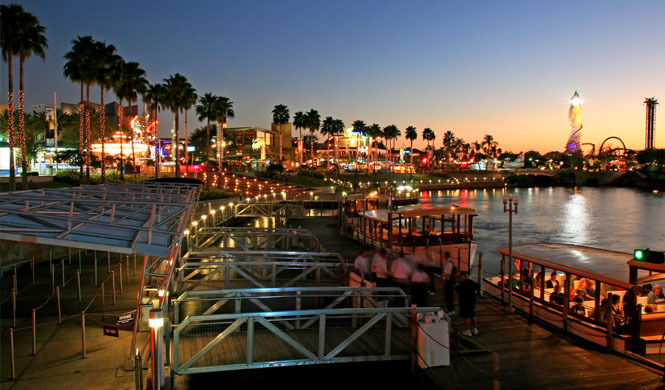 In the LazyGator Bar, visitors can enjoy a party on the pier every Friday and Saturday night with live music. Harry P. Leu Gardens offers free admission on the first Monday of each month, from 9amto 5pm. The Kraft Azalea Gardens is 2 acres known as the "secret garden" of Central Florida,located in Lake Maitland Winter Park and open from 8 am until sunset. Attendance is free. The Arboretum of the University of Central Florida is home to over 600 species of plants in an area of 32 acres. Visitors can take a self-guided tour and observe the many species of native plants. The Winter Park Farmer's Market is open every Saturday, 7am to 1pm. Suppliers and local farmers sell their homemade and homegrown products, including fruits, vegetables, organic products, bakery products, etc. Lake Eola Park Park is a recreational area of 17 acres in the heart of Orlando. Visitors can picnic at the lake, enjoy one of the many free concerts in the amphitheater, feed the swans or stroll through the farmers’ market on Sundays. Fort Christmas Historical Park Park is a small part of old Florida. You can visit the fort, historic houses and gift shop. Big Tree Park in Sanford offers more than 4 acres of natural vegetation and wetlands. Enjoy a free outdoor camp and marshmallows toasted with Disney characters Chip and Dale at Disney's Fort Wilderness Resort. The round of nocturnal songs around the campfire includes a Disney movie, starting at 7:30 pm. Note that from the time of purchase, you will have twelve (18) months to make use of this holiday package and reservations must be requested at least 20 days prior to arrival. Limit one (1) coupon to be purchased per family (relatives, friends or acquaintances are not allowed using this offer on the same dates). These offers are not valid for groups. A group is considered two or more families traveling together or meeting at the resort/hotel, during the same holiday period. Date changes to your reservations must be made at least 10 days before the previously confirmed date. You must have at least one (1) credit card(valid cards limited to Visa®, MasterCard®, Discover® and American Express®) in order to check in, as it is not permitted to use a debit card, or ATH. You must have a valid photo ID. Other charges may apply, including: Babysitting and laundry service. Limit of 7 people may stay in a hotel room, including infants. The offer price does not include hotel tax of 13%. (May vary seasonally from $9 to $15 USD per night, and is payable at check-in or check-out). The offer does not include airfare. Offer is valid for single women, widows or divorcees aged 28-65 years, no single men. No married or cohabiting women traveling without their partner will be accepted. No person may acquire more than one coupon for extended stays or receive more entries. Reservation costs U$98.99 applies at the time of your booking request to destination. Additional nights cost $150 to $200 USD. You can buy more than one coupon to be used 12 months after usage of the previously used (first) coupon. These vacations cannot be used in conjunction with any other promotional offer that feature the same or similar terms and conditions, acquired by another agency. These promotions and prices are obtained only through JZVacations.com, on behalf of the participating hotels. Participation in a personalized presentation at the resort or hotel (about 90 minutes in length) is required, to become familiar with all available services and benefits that can be obtained during and after your stay. Offer sale is final. We do not accept cancellations or refunds for this type of promotional offer. Offer is not redeemable for cash. If you ask for reservation and for some reason does not reach its hotel and confirmed dates, you will automatically be charged a penalty of $399 to the registered card purchase. If you show up at the hotel and did not meet any of the terms described in this contract, you will pay your registered card, equivalent to the total cost of your stay based on hotel rack rate penalty. This offer is not valid for residents of Florida residing in the counties of Brevard, Duval, Lake, Osceola, Orange, Pinellas, Seminole, and Volusia. For your convenience, all reservations must be requested through our Facebook or directly from our Website, please make your reservation by following the steps on the reservation button. New dates with holidays like July 4th, Labor Day, Thanksgiving, Christmas, or dates featuring special events, they must be applied for at least 30 days in advance and are subject to availability. All reservations including regular dates, are subject to availability and the hotels will be assigned. Packages that include gift destinations do not allow the use of both destinations consecutively, and at least six (6) months between destinations will be required. US residents must have current and valid IDs to ensure legal status in the country. Tourists must bring proof passports with valid visas. Terms and conditions may vary without notice as determined by the hotels. Six days for 4 people, daily breakfast, 6 days rental car and much more! 5 days and 4 nights for a couple (all inclusive) meals, drinks and lots of fun. 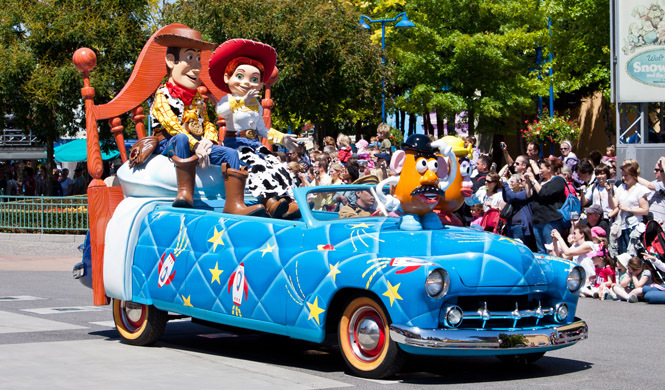 7 days for up to 4 people, plus one ticket for all Walt Disney World parks.